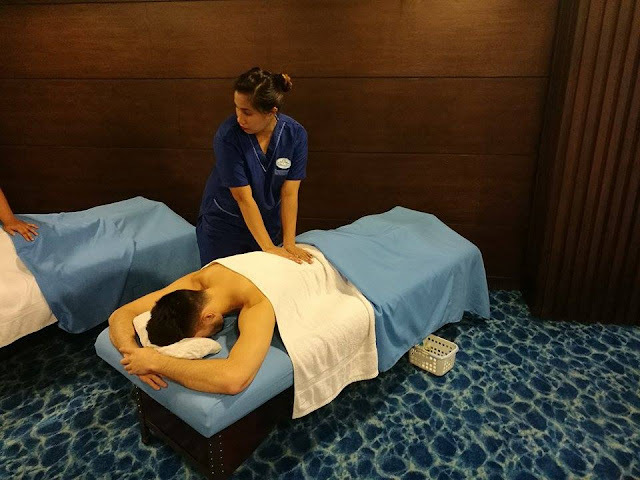 This is good news to those on a diet and wanted to eliminate excess fats in their body thru massage. MLD or Mild lymphatic massage is the perfect therapeutic prescription for detoxifying and slimming; this toxin targeting technique recharges the immune system and reduce water retention and boosts sluggish circulation. This is very gentle and extremely relaxing. 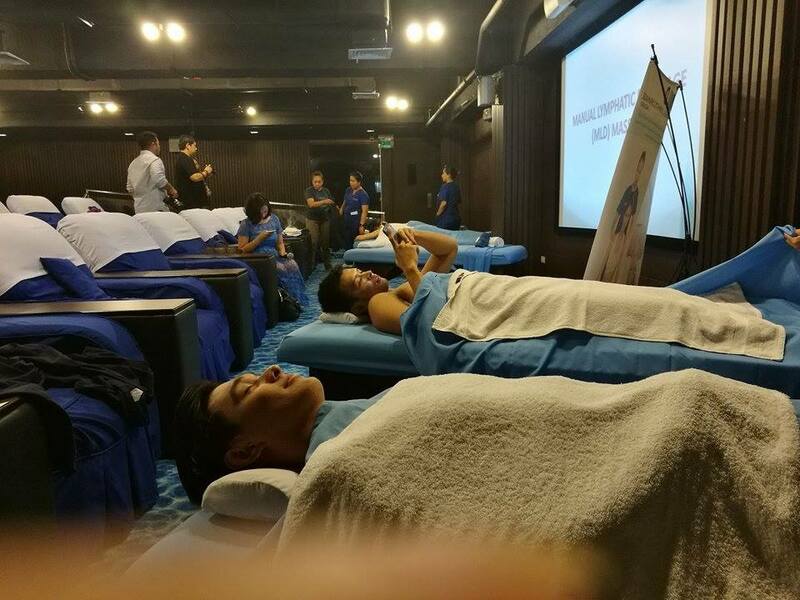 Yes, you hear it right, melt your fats away while you relax inside a spa. 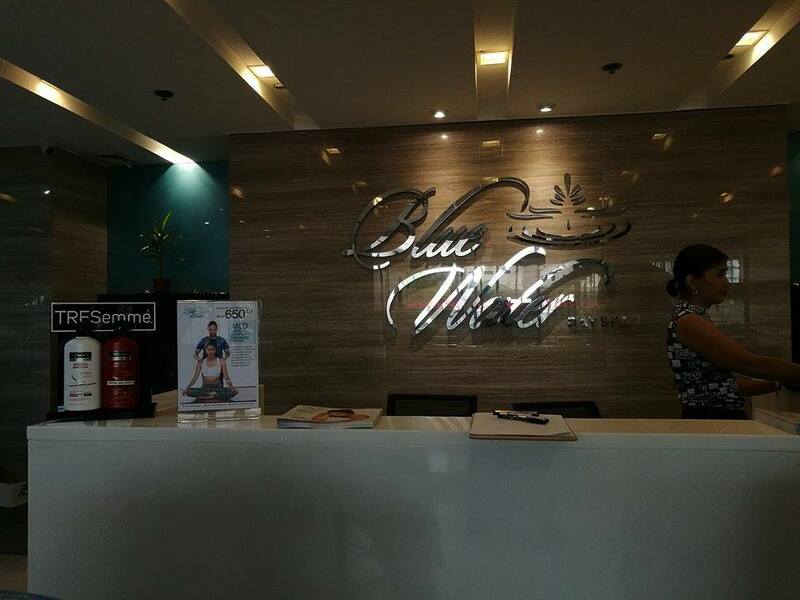 Indian Head, Neck and Shoulder Massage to the media on July 25 at Blue Water Day Spa Ortigas-Greenhills branch. The therapist demonstrates MLD and Indian Head Massage to their models. 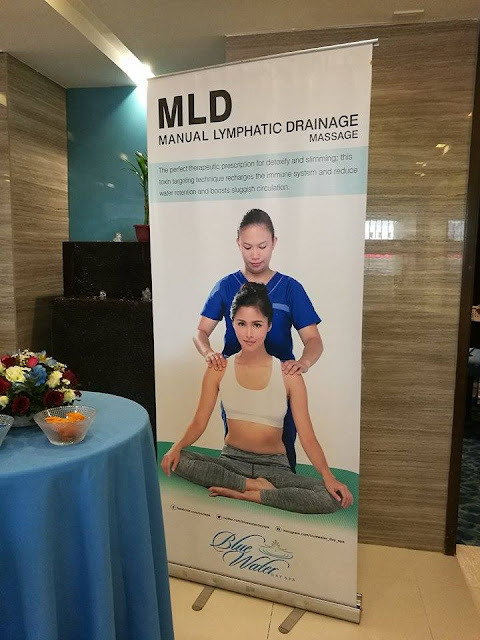 The MLD is an hour massage where the therapist applies light pressure to certain areas of the body that have a high concentration of lymph nodes such as the auxiliary and inguinal regions. The recommended visits for those who wanted to massage their fats away is once a week. There are health benefits aside of course from slimming. 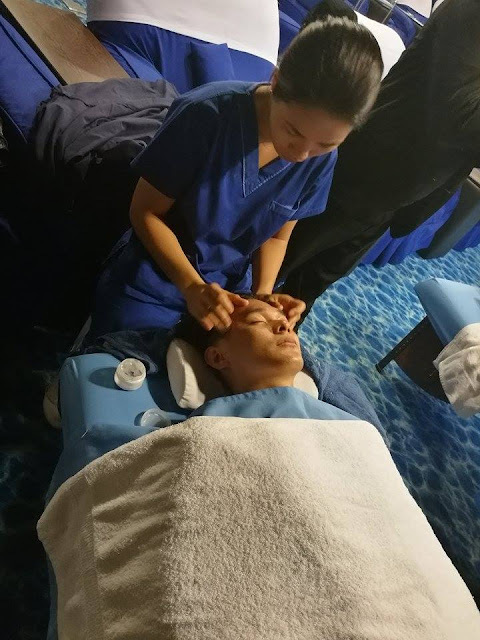 It can prove beneficial in the correction of numerous conditions as well as in preventative health maintenance; practitioners using MLD are doctors, surgeons, osteopathic physicians, doctors of chiropractic, physical therapists, dentists, massage therapists and the like. * Reduction in edemas (swelling) and lymphedemas of many origins. * Relief of chronic and subacute inflammation and conditions such as acne, eczema and allergies. * Deep relaxation to aid insomnia, depression, stress, loss of vitality and loss of memory. * Alleviation of adiposis and cellulite tissue. Indian Head, Neck and Shoulder Massage is an ancient and therapeutic massage technique which I had to try for 15 minutes. This is highly recommended to those who are having difficulty sleeping. This is very relaxing. My mind wanders off when the therapist put her magic hands on my head. I slept for about 10 minutes. Indian head is practiced in india for over a thousand years. 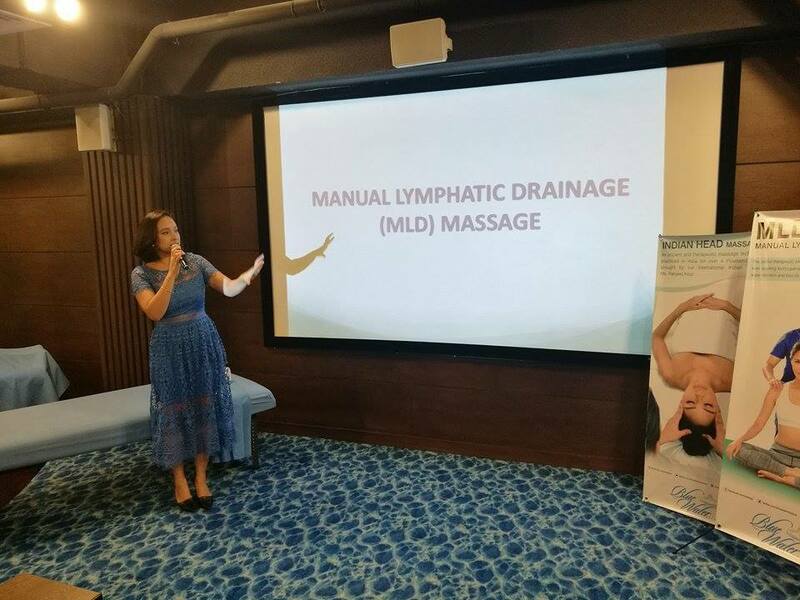 All their therapists underwent training and techniques through International Indian trainor, Ms Ranjeet Kour. It focuses on the back, shoulders, neck, head and face – areas where tension, tightness and stiffness built up. 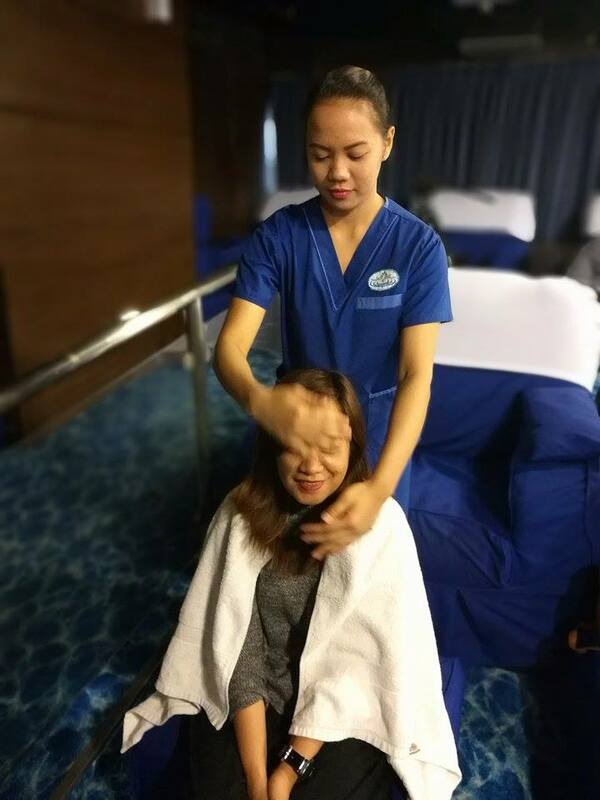 With aromatic essential oils that help soothe the nerves, you will feel calm, balanced and absolutely de-stressed after the treatment. Indian Head massage is not advisable if you're suffering from neck injury, fracture, severe headache, fever, active migraine, hypertension and vertigo. If this "secret" highly powerful primal muscle is healthy, you are healthy.